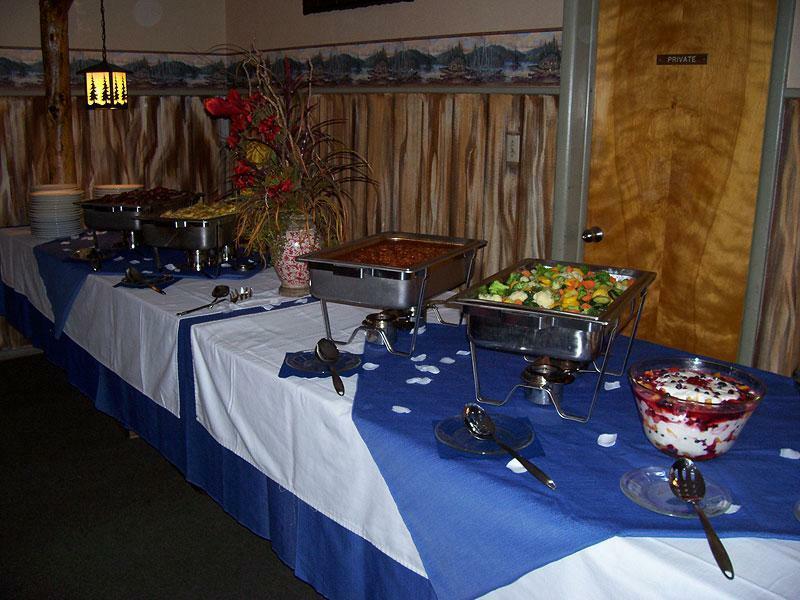 The Restaurant here at the Flaming Gorge Resort has been serving guests for well over 30 years! Over the years our restaurant has had many different looks and styles. Our returning guests have become familar with the rustic look that has been in place for many years, but 2018 brought a new, updated look to the Flaming Gorge Resort's Restaurant while maintaining the cozy, homey atmosphere you have known and loved. You'll have to see it to believe it!!! The style and look of the restaurant maybe be changing, but our dedication to to excellent customer service remains the same. Our kitchen staff is dedicated to bringing you quality food that is sure to leave you full and satisfied. 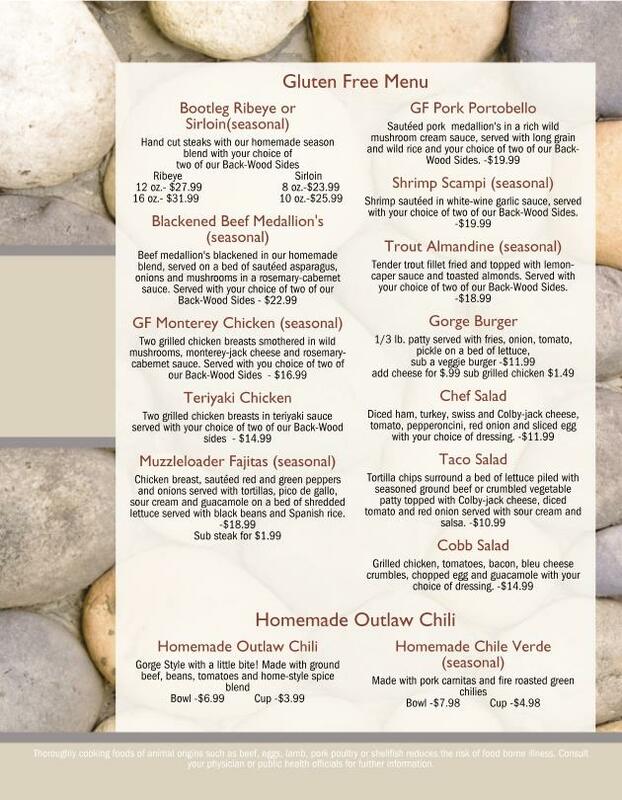 Our menu has something for everyone! We serve everything from our Famous Gorge Burger to our homemade Pork Portabello. Whether you are looking to grab a burger with your fishing buddies, or have a romantic dinner with someone special, we will get you taken care of! Our servers, as always, are dedicated to giving our customers and friends the service and care that you deserve when dining out. Beginning in 2019, groups of 20 people or more will require a reservation. 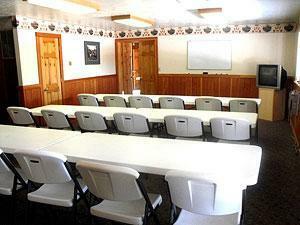 Reservations suggested for ANY group size during the busy season. Pets with a leash allowed on the covered patio. Please call us at 435-889-3773 ext.0 to make reservations! 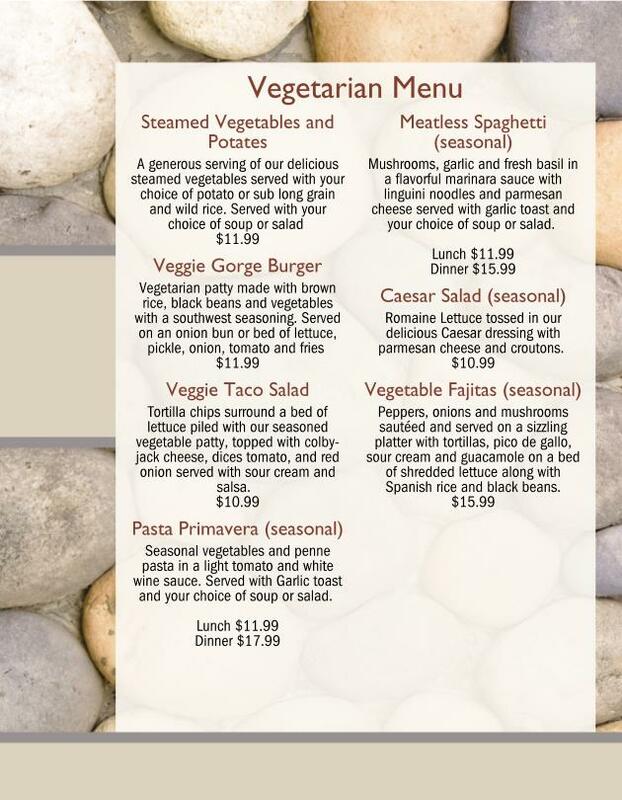 Take a look at our Menus! *Please note that these are our Peak Season menus. Some items may be removed for the winter season. We welcome banquets and parties to our restaurant and often service reunions, birthdays, company banquets, and other group events. Our professional staff and chef are willing to work with you to meet your every need no matter the occassion. 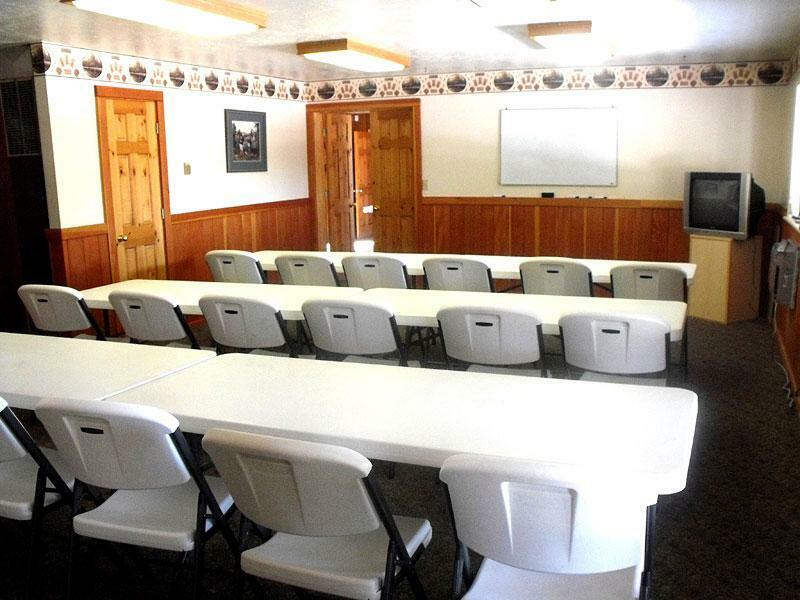 We have a unique conference room, outside patio, and our restaurant dining room to accommodate your group.